Why pay more for a beautiful metal frame? 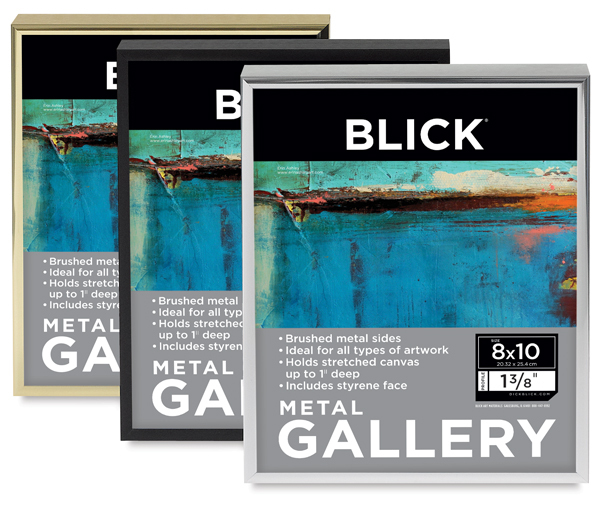 Designed to complement your artwork, not overpower it, these elegant brushed metal frames are perfect for framing your prints — or for adding value at your next art show! Every frame includes a repositionable sawtooth hanger. 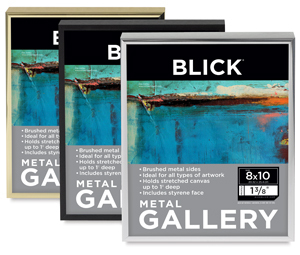 With a depth of 1" (25 mm), they'll also accommodate stretched canvases beautifully. These frames ship with a styrene face as styrene is lighter than glass and less likely to shatter in transit. 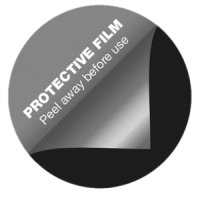 The styrene face has a protective film on both sides that protects it from scratches and smudges. The film should be removed before displaying your art.